Winter is almost over, and spring is just around the corner. It’s time to start thinking about a getaway, and a March road trip is a great idea, if you know where to go. Whether you’re hoping to see some snow, or you desperately need some warm weather, these suggestions will help you make the best of the opportunity. The Grand Canyon is a great place to experience warm weather and chilly temperatures, all at the same time. Seeing the canyon frosted with a fresh layer of snow is a real treat. But, most likely by March, you won’t face any big snowstorms. And, if you plan to hike into the canyon, you’ll notice the temperatures rising as your elevation drops. The bottom of the Grand Canyon can be oppressively hot in summer, but quite pleasant in the spring and fall. This makes it a great time to hike down the Bright Angel Trail – even if you’re not going all the way. Or, you can hike the rim out to Hermits Rest. And if you’re feeling more adventurous, and you have a reliable vehicle with a good spare tire, you might want to consider driving into the Grand Canyon. The local Hualapai tribe allows it, if you buy a permit. 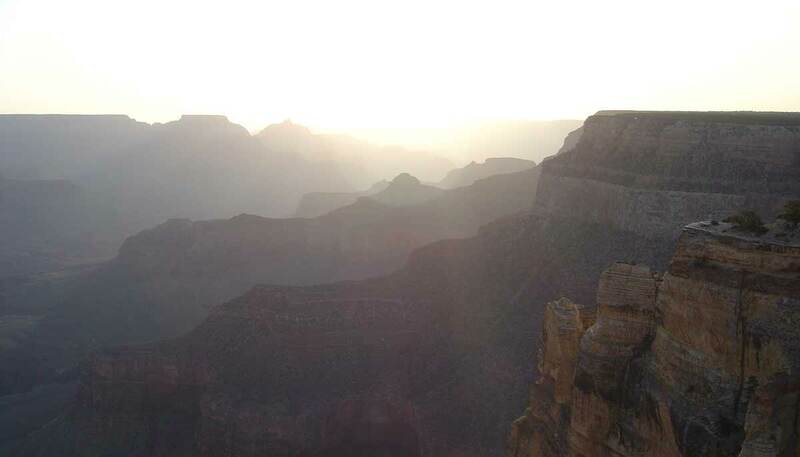 Phoenix and Las Vegas provide easy starting points for a Grand Canyon visit. Phoenix will be closer (and you can add a stop in Sedona), but Las Vegas will likely have cheaper flights and rental cars (and you can add a drive on old Route 66). Sometimes you can find an even bigger bargain by flying into Albuquerque — and bookend your vacation with New Mexican cuisine smothered in green chile. Smaller crowds and better motel deals in Tusayan (just outside the park) make this a good time of year to visit. Temperatures at the rim should be cool but tolerable, and if you plan to hike into the canyon, you won’t have to face the oppressive heat of summertime. You’ll want to avoid most National Parks during their busiest month of the year, but I’ll make an exception for Big Bend National Park. March is its busiest month, as spring breakers who don’t care about the beach party scene retreat to the desert instead. But, busy is a relative term. 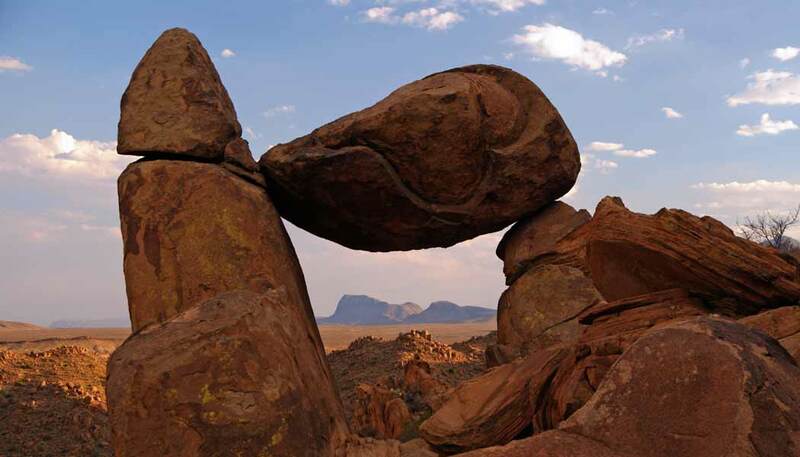 Big Bend’s busiest month ever was March, 2007, when 80,773 people visited the park. Compare that to July 2016 in Zion National Park — its busiest month ever — when it fell just 39 visitors short of 600,000. Oh, and Big Bend is four times bigger. So yeah, I don’t think the crowds in Big Bend National Park will be too big of a hassle in March. You’ll also enjoy moderate temperatures (it’s just too hot to visit here in the summer) as you explore this remote and rugged corner of Texas, just north of the Mexico border. Hike down to the Rio Grande at Boquillas Canyon and Santa Elena Canyon, or take a canoe trip down the river. Hike the Window Trail or Lost Mine Trail in the Chisos Basin. Stand atop Balanced Rock (pictured above) before spending a night in Terlingua, a still-living ghost town. Midland/Odessa is about 200 miles away from the edge of Big Bend National Park. It’s served by American, Southwest, and United. For a longer drive, you could choose El Paso to the west or San Antonio to the east, and enjoy a nice March road trip through the Lone Star state. I’d suggest that March is the best time to visit Big Bend because it’s the busiest time of the year for the park. Sure, you won’t find a deal on lodging (decent rooms are hard to find, anyhow), but in an area this wild and remote, it might be nice to have some other hikers on the trail with you. This trip is definitely not for everyone. Winter is brutal in the Canadian Rockies. But, the beauty of the mountains frosted with snow is hard to resist for some people — even if you aren’t planning a ski trip. 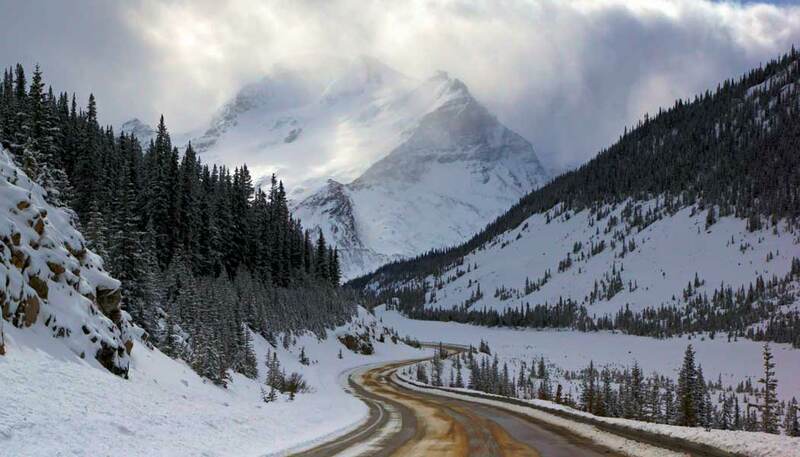 Take a drive into Kananaskis Country or up the Icefields Parkway, if the road is open and safe. Or, hunker down in Banff or Canmore for a few days and enjoy life in the mountains. Drive up to Lake Louise for a walk across the frozen lake, and to check out the ice castles left behind from January’s Ice Magic Festival. Calgary offers the easiest starting point for a March road trip into the Canadian Rockies. It’s only 126 km, or 78 miles, from the city to Banff. You could also check flights and rental car prices in Edmonton, and drive over to the town of Jasper, at the northern end of the Icefields Parkway. The drive from Edmonton to Jasper is 365 km, or 226 miles. Okay, it’s not the best time to visit the Canadian Rockies. The best time would probably be September, when the weather is still warm and the larch trees are turning yellow. But if you want to see the Rockies in winter, March is probably your best bet. The days will be getting longer, and the weather should be slightly warmer as spring approaches. Of course, services will be limited, but accommodations that are open should offer reasonable prices. Unless you’re brave enough to tackle snowy roads and possible blizzards, you’ll want to stay in the south. Keep in mind that mountain passes and high-elevation destinations may be closed throughout March, and throughout the spring season, until snow melts. March is also at the peak of the spring break season, so you’ll probably want to avoid vacations to the biggest, most popular beaches (unless that kind of wild scene is what you’re looking for).